It’s Saturday, and I no longer have a backlog of posts ready, so I’m going to try out something new today. If you look at my top menu, you’ll notice that I have eight running serials. Seven of those serials have a specific day to be posted, while the Spot the Ǝrror serial fills in the blanks when I need a break from writing, researching, etc. When I came back to the blogging world after my hiatus, I decided that I needed structure in order to keep this blog viable. Otherwise, I’d post sporadically about a current whimsy and then the next thing I know, I’m posting once a week and losing interest quickly, which causes readers to lose interest compounding the spiral effect. That’s why I’ve created a programming schedule of seven serials and one floater. While this may sound strange, I like it because it keeps me active. I even keep track of page views for each serial to determine what’s working and what isn’t. In essence, I’ve become the writer, director, producer , PR man and CEO of my own blog “channel.” I’ve even decided to let each serial run at least 13 “episodes” with a full season run being 26. Yeah, I know, nerdy, but it’s my blog. Pwn3d is a series that highlights players who either dominated or were dominated by an opposing pitcher/batter. A minimum 20 Plate Appearance limit is required. 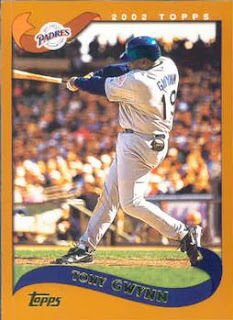 During Tony Gwynn’s career, he amassed 3,141 hits and hung his cleats with an amazing .338 lifetime batting average. What is even more impressive is when you dig into his numbers you find that Gwynn had the number of a lot of pitchers, while only a handful had Gwynn swinging in stitches. Using a 20 Plate Appearance limit, Gwynn batted above .400 against 45 pitchers. We will call this the Williams Line, since Teddy Ballgame was the last player to break this magical barrier. At the other end of the spectrum, Gwynn battled below .200 (Mendoza Line) against a mere six pitchers. This gives us a W/M (Williams to Mendoza) ratio of 7.5. I just created a new SABRmetric!!! Of Gwynn’s over .400 victims, the list includes Hideo Nomo (.560), John Smoltz (.444), Kevin Brown (.423), Jamie Moyer (.417) and Greg Maddux (.415!!!). Some impressive pitchers were destroyed by Gwynn, but as one would expect, most of the pitchers he brutalized were not well known. As for those who Gwynn apparently forgot to video tape and scrutinize, it is a veritable list of Who and Huh? The likes of Shane Rawley (.182), Mike Remlinger (.182), Mel Rojas (.167), Omar Olivares (.120) and Dan Schatzeder (.111). Not exactly a five-ace rotation. Gwynn Pwn3d You! You Pwn3d Gwynn! i like it. 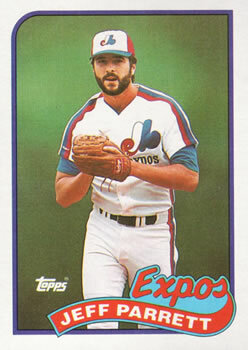 i'll like it even more when you post garvey's - nino espinosa and orel hershiser. 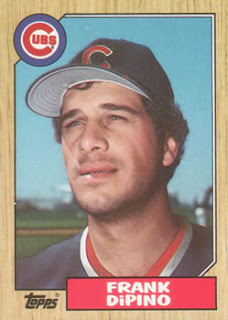 especially if you use espinosa's 1978 topps or 1979 topps burger king cards! I've thought about doing something similar -- since the early days of my blog. But I could never figure out to calculate all that. I'd like to see Mike Schmidt's! Great pilot! Loved seeing how my favorite hitter faced against a pair of favorite pitchers (Nomo & Maddux). Excellent information.